Terror groups based in Pakistan have begun using women as ‘honeytraps’ in the Indian state of Jammu & Kashmir. The arrest of a woman named Syed Shazia, 30 from Bandipore happened 15 days ago. Shazia has been running several accounts on social networking sites such as Facebook and Instagram which many youths in the Valley followed. Shazia had been on the radar of central security agencies for several months. Shazia used to converse with men and would promise to meet them only if a certain “consignment” was delivered from one place to another. The woman had links to some officers in the police department. This is a usual tactic of “double-cross” used to report the movement of troops. Although, no sensitive information was sent to her handlers across the border by Shazia. During interrogation, investigators found about the presence of some more women in militants ranks who had been assigned the job of luring youths into militancy. An unidentified woman from North Kashmir was involved in supplying arms and ammunition to two terrorists. A few months ago, a video featuring Shazia had surfaced on Facebook in which she was called as a police informer. She had filed a complaint, after which two accused were held. A week before her arrest on November 17, the Jammu and Kashmir Police had arrested Aysia Jan (28) for carrying 20 grenades at Lawaypora on the city outskirts following inputs about terrorists trying to smuggle arms and ammunition into the city. In today’s time, terrorist organisations evolve quickly. It not enough to develop new weapons to fight them, but it is more important to locate and identify them as quickly as possible. To add to the challenge, terrorists strike at will and to be able to do that, they blend in with the masses. The public rarely suspects them of being radicals. They not only hold regular jobs but also might be respected members of society and attend community events. In most terror-related incidents, DNA and fingerprints are not available or of no use. The Counter-terrorism and intelligence departments, the Indian Armed forces, the Central Reserve Police Force, Border Security Force and the Jammu and Kashmir police have established an extensive infiltration and anti-militancy network. Yet it is not quite successful in checking brainwashing, and radicalization of the youth in the Indian state of Jammu and Kashmir. The majority of the terror-related incidents in India have Pakistan’s support. Terrorist organizations like Lashkar-e-Taiba (LeT) and Jaish-e-Mohammed (JeM) which originate from Pakistan, have organised major attacks in Jammu and Kashmir. The fight against militancy has been on for decades. New methods such as honey-trapping are being employed by the militants to gain leverage against Indian agencies. 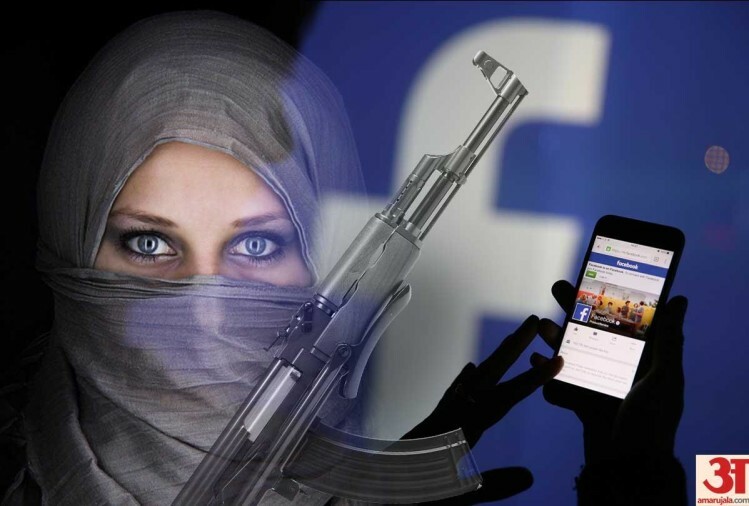 It is nothing new as just few months back it was reported that Pakistan’s Inter-Services Intelligence (ISI) agency is allegedly using social media to trap Indian armed force personnel as well as common people through Facebook likes and comments features. The intelligence collection methodologies need to be overhauled. There is a pressing need to be proactive rather than reactive, to think a few steps ahead of the terrorists. And thus, to defeat and root out terrorism in the otherwise peaceful country of India. The arrest of Shazia makes interrogation possible. It opens a lot of doors in terms of intelligence about terror outfits and her way of working. Despite this, the investigative agencies feel that interrogation is not able to extract a significant amount of useful and meaningful information. To add to this, it is not yet if and how DNA, fingerprinting and polygraph can really help in such cases. It is obvious that the agencies are not satisfied with putting Shazia behind bars. The explicit and tacit knowledge she possesses is capable enough to lead to the high-ranking officials in the terror organisation. Presenting u a tool which can accurately and non-invasively determine if a person has cognizance of crime/terror-specific information. This computer-based tool has been developed by Brainwave Science and is called iCognative. It boosts the capability and efficiency of investigation and intelligence gathering manifold. Most of the terrorist interrogations involve torture and suffering. However, iCognative involves no torture, no contact between test taker and test administrator. This is why it is not affected by the subjective opinion of the administrator. What’s more, since it is 99.9% accurate in reporting its result in whether the suspect has ‘information present’ or ‘information absent’. The interrogation of Shazia using iCognative will lead to meaningful insights. Not only will the language barrier be removed, if any; but tacit and inexpressible information will be extracted, which can help in narrowing down on the terrorist bosses of Jammu and Kashmir. iCognative by Brainwave Science is the booster shot which overburdened investigative agencies to need to achieve results in the fight to remove spies, terrorists and sympathizers from India and restore long-awaited peace.